European Network Adult ADHD – The relationship between attention deficit hyperactivity disorder, bipolarity and mixed features in major depressive patients: Evidence from the BRIDGE-II-Mix Study. The relationship between attention deficit hyperactivity disorder, bipolarity and mixed features in major depressive patients: Evidence from the BRIDGE-II-Mix Study. OBJECTIVE: This study primarily focused on the relationship between comorbid attention deficit-hyperactivity disorder (ADHD), mixed features and bipolarity in major depressive patients. METHODS: The sample comprised 2777 patients with Major Depressive Episode (MDE) enrolled in a multicentre, multinational study originally designed to assess different definitions of mixed depression. Socio-demographic, familial and clinical characteristics were compared in patients with (ADHD + ) and without (ADHD-) comorbid ADHD. RESULTS: Sixty-one patients (2.2%) met criteria for ADHD. ADHD was associated with a higher number of (hypo)manic symptoms during depression. Mixed depression was more represented in ADHD + patients than in ADHD- using both DSM-5 and experimental criteria. Differences were maintained after removing overlapping symptoms between (hypo)mania and ADHD. ADHD in MDE was also associated with a variety of clinical and course features such as onset before the age of 20, first-degree family history of (hypo)mania, past history of antidepressant-induced (hypo)manic switches, higher number of depressive and affective episodes, atypical depressive features, higher rates of bipolarity specifier, psychiatric comorbidities with eating, anxiety and borderline personality disorders. LIMITATIONS: The study was primarily designed to address mixed features in ADHD, with slightly reduced sensitivity to the diagnosis of ADHD. Other possible diagnostic biases due to heterogeneity of participating clinicians. 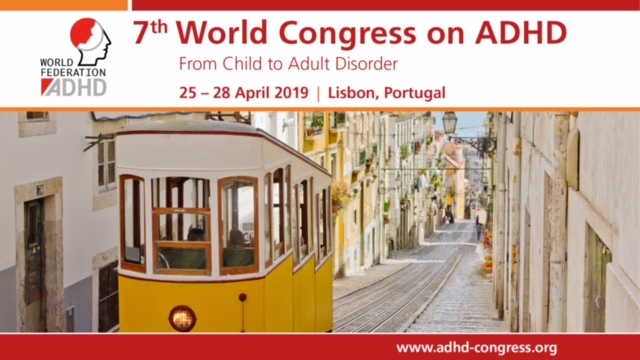 CONCLUSIONS: In a sample of major depressive patients, the comorbid diagnosis of current ADHD is associated with bipolar diathesis, mixed features, multiple psychiatric comorbidity and a more unstable course. Further prospective studies are necessary to confirm the possible mediating role of temperamental mood instability and emotional dysregulation in such a complex clinical presentation.